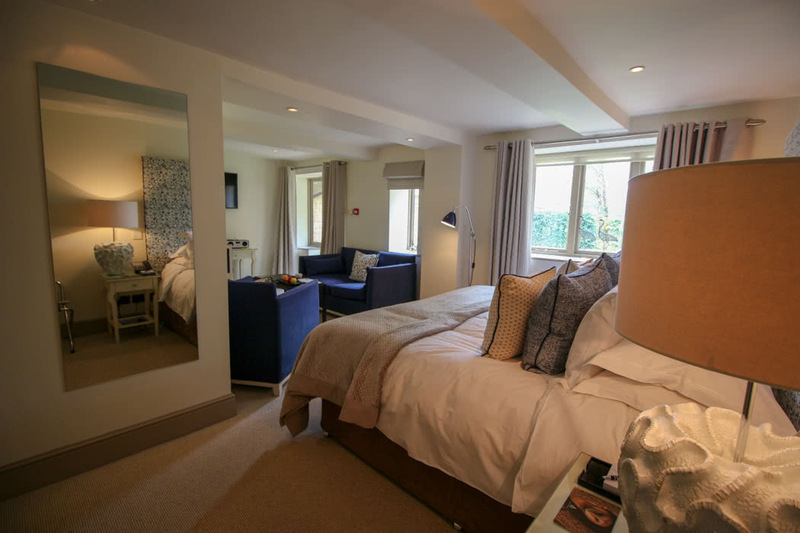 Dormy House Hotel & Spa is situated in the heart of the Cotswolds. 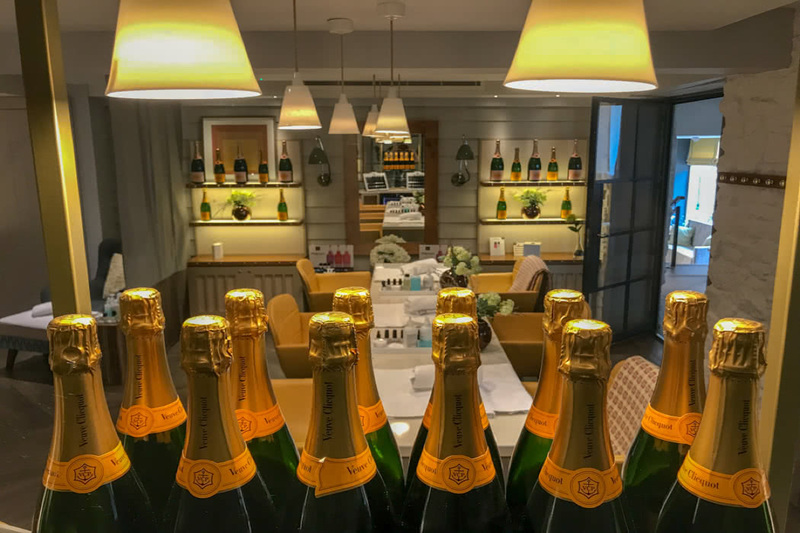 It is part of the Farncombe Estate which sounds very grand but in reality, Dormy House has a beautifully refurbished farmhouse feel, rather than the feel of an old country manor. 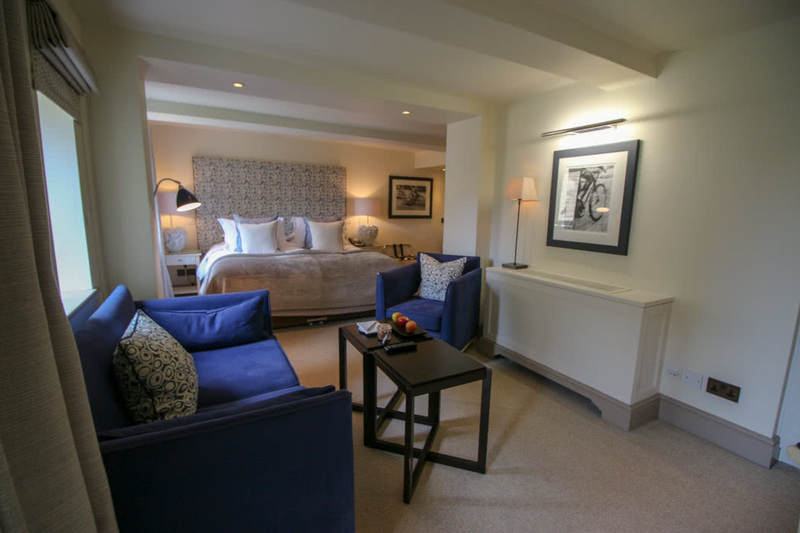 This means that it is ultra welcoming with log fires aplenty and it feels utterly cosy; a home from home with a superb spa, pool and fine dining restaurant to boot. You reach the hotel by following a windy rural country road. The house itself sits in the middle of fields, but the landscaped gardens mean that you don’t feel remote or exposed. Even the gardens have a cosy feel. 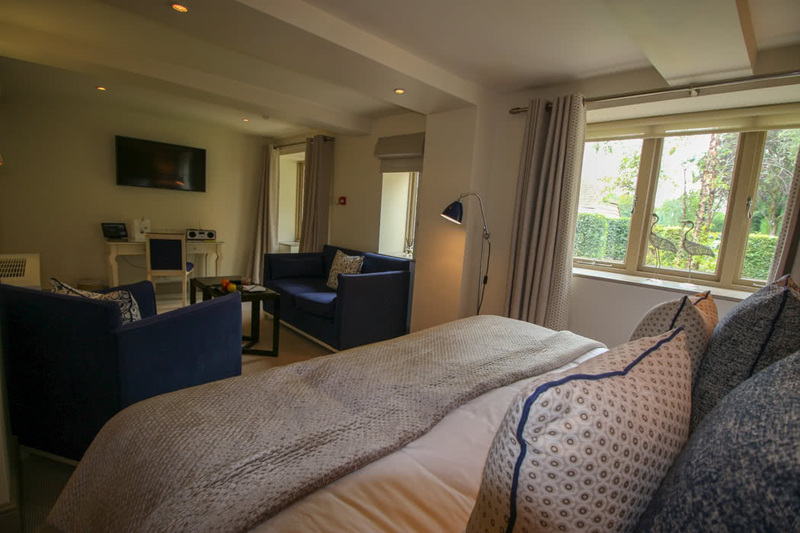 As you enter the old farmhouse through the front door, you are met by an array of lounge areas. To your left is a massive open hearth that had a fire crackling throughout our stay, even though it was August. This gave the hotel a wonderful woody scent and a welcoming aura. 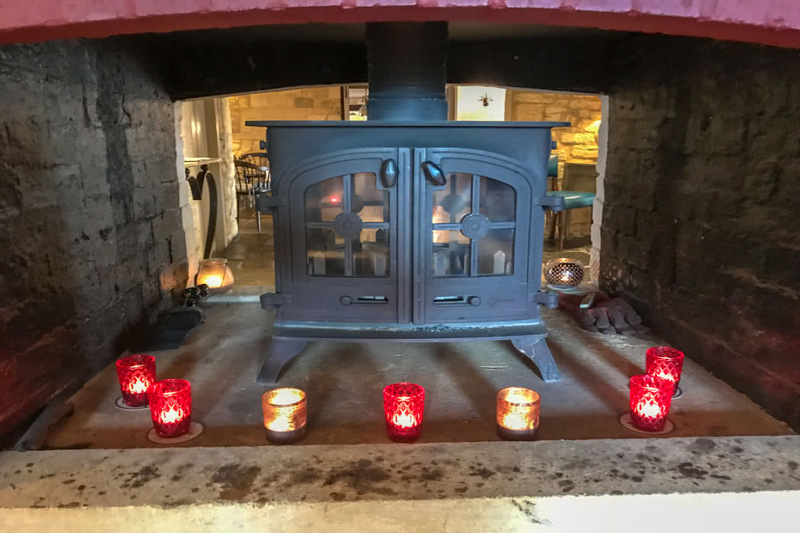 To your right, you find a more traditional lounge area which leads onto a further lounge, all complete with wood burning fires and abundance of pretty tea lights. 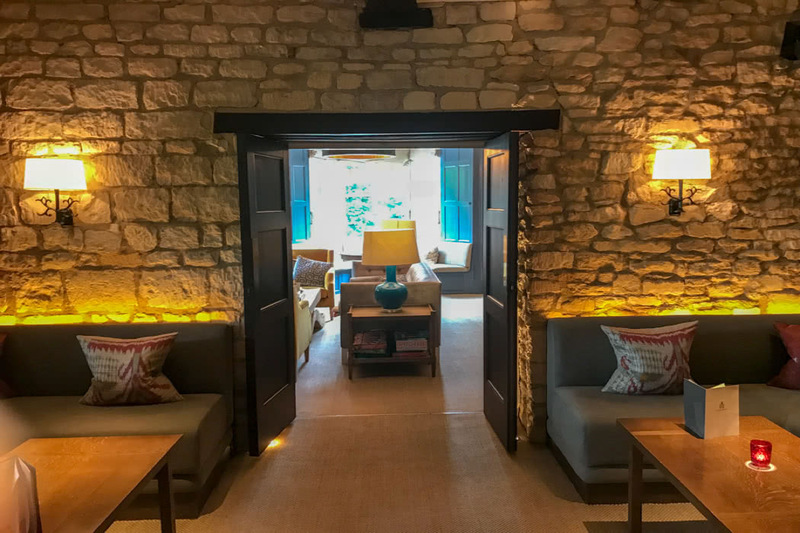 Carry on up the main corridor and you reach the reception, which is decorated in light oak beams contrasting with the original Cotswold stone on the walls. 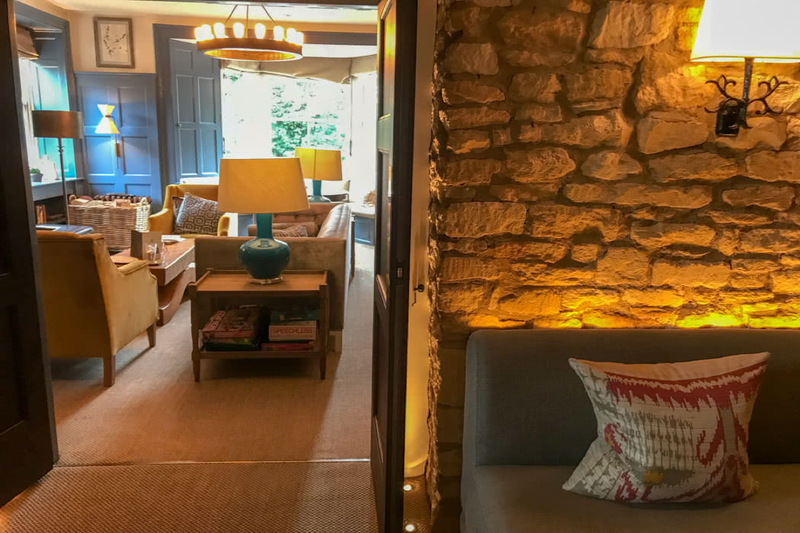 The creamy stonework is finished off with a flagstone and wood floor which leads to an informal reception area and then onto the ultra modern and stylish spa. To each side of this welcoming area are the two restaurants, The Potting Shed and the more formal Garden Room. 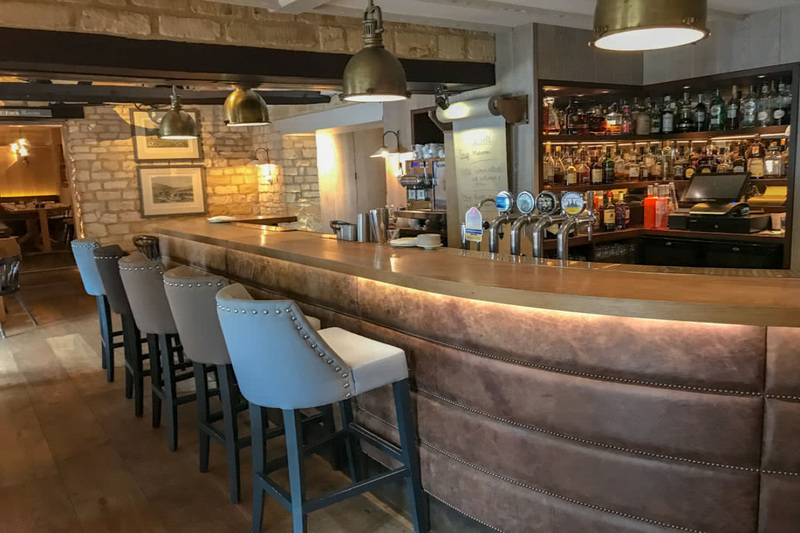 The Potting Shed had the feel of an old country pub, with patio doors leading out onto a large terraced area where you could eat and take drinks. The Garden Room, where we ate and where breakfast was served, had a more modern feel and lovely views out across pretty flower-adorned lawns. The Spa was a major highlight of the hotel. 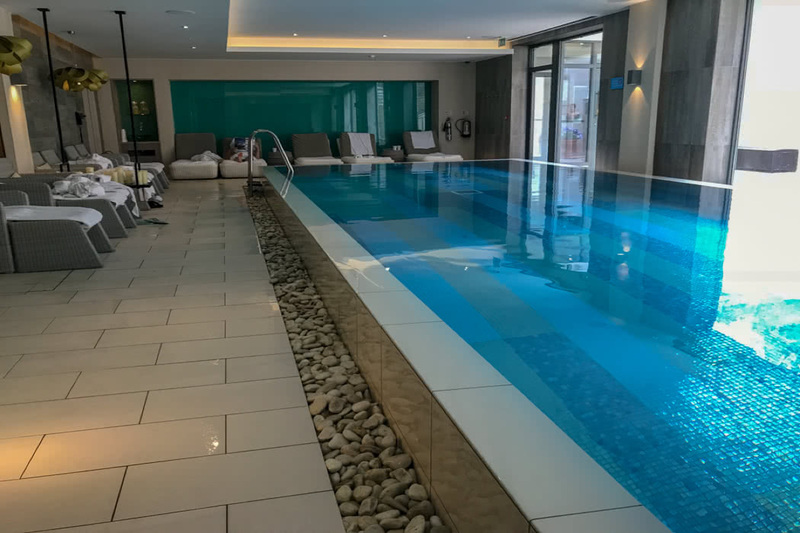 It sat beyond the reception and extended over an enormous area, offering an eaterie, a nail bar, numerous treatment rooms, a warm and stylish pool area with saunas and steam rooms and a hot tub area outside. Loungers around the pool were hugely popular and we took an enjoyable swim between 4 and 5.30 (when children are allowed to use the pool). Our room was a courtyard room. 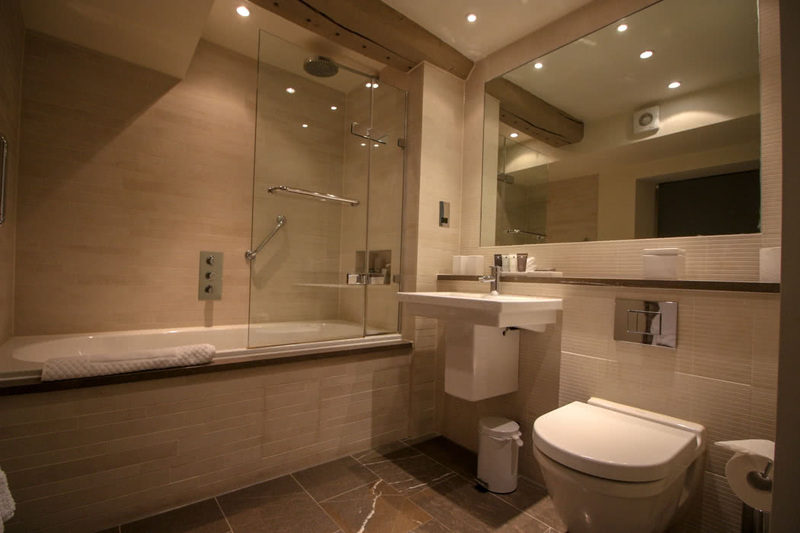 It had a nice modern bathroom and was large enough to fit a sofa bed if you bring a child. 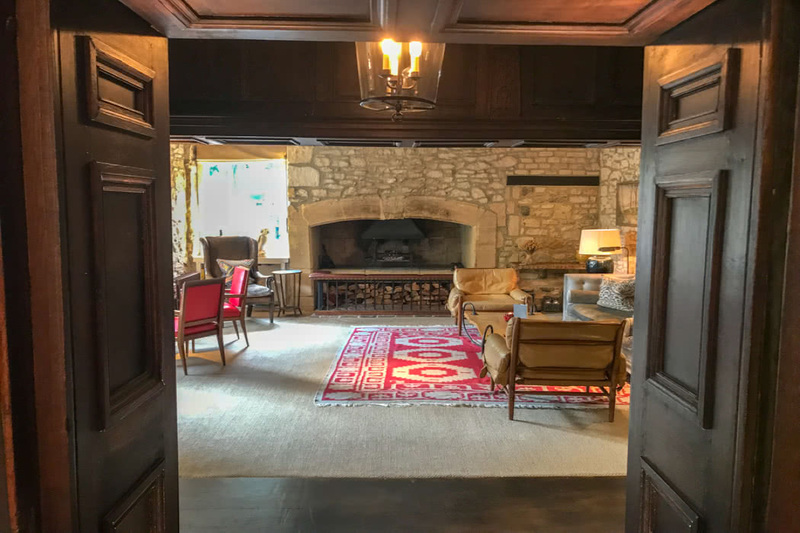 If I were to visit on a couples retreat, (most of the clientele were couples on a weekend break), I would have selected one of the rooms in the main building with exposed beams and bags of character. The Potting Shed bar and restaurant looked gorgeous. If we had not been blessed with good old British rain during our stay, we would have enjoyed our pre-dinner drinks outside on the Potting Shed patio. Instead we chose some Cotswold Lagers and drank them by the fireside before heading into the Garden Room for dinner. 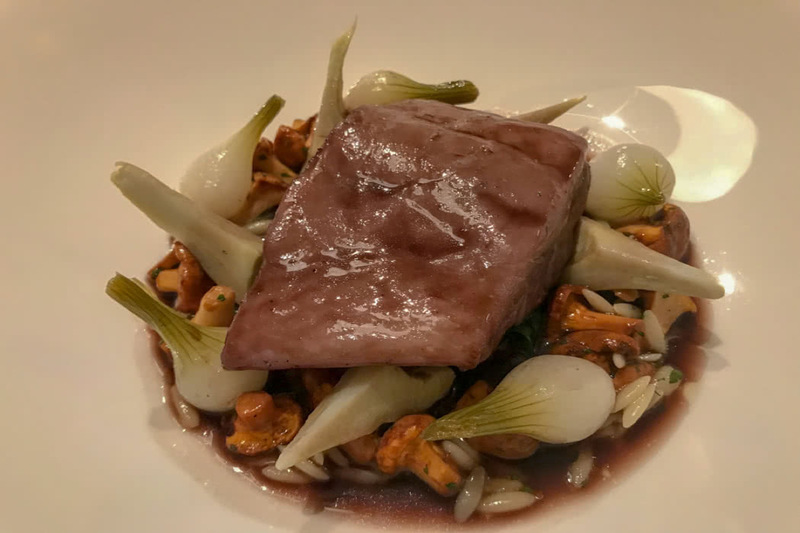 The food in the Garden Room was excellent. I was surprised that it had not been awarded a Rosette or two as it certainly deserved it. The fish was particularly good and both starter and main could not have been more delicious. 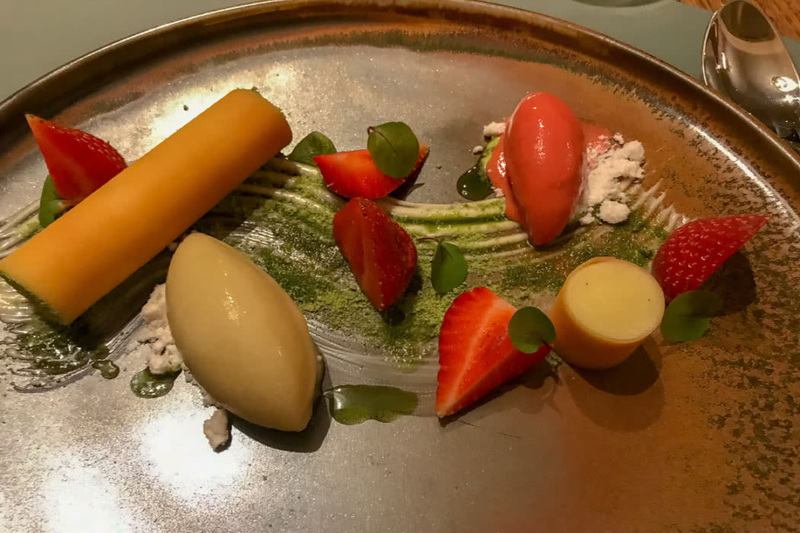 Even my rhubarb dessert was very special. So often, Cotswolds hotels can be a bit dated and tatty around the edges. Dormy house was immaculate, cared about and ticked all the boxes. Cotswolds atmospheric farmhouse? tick. Wonderful Spa? Tick. Newly refurbished bathrooms? Tick. Gourmet food? Tick. Cute little in-room gift with Jing tea and coffee making facilities (fresh milk of course)? Tick. They even handed out a lovely little leaving bag as we left the hotel containing handmade cookies and water for the journey home. Tick, tick, tick and tick. 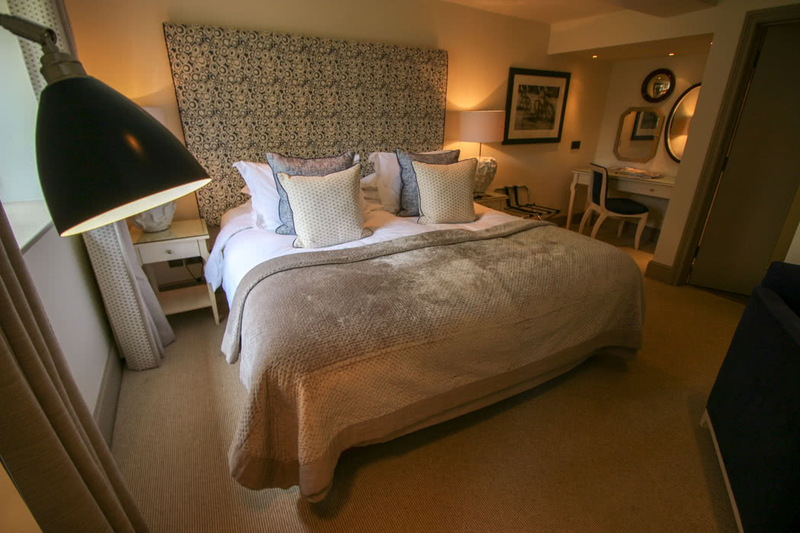 Trust me, you won’t be disappointed if you chose Dormy for your next weekend break in the countryside.